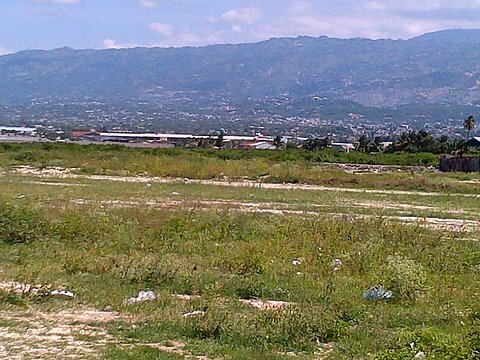 Haitians may yet have a stadium to match their passion for soccer. Below is a New York Times blog about a stadium scheduled for construction in Cite Soleil. The majority of the $5 million dollar project will be financed by Delos LLC as part of the Clinton Global Initiative. The stadium will seat 12,000 but could be expanded to 20,000 over time. Best of all, it will be built with local materials and by local workers, maximizing the economic impact. Water, Sanitation, and Hygiene (WASH) conditions in Port-au-Prince were not good even before the devastating January 2010 earthquake. Perversely, the poor often paid the most for drinking water. Against this backdrop, a number of international organizations and non-governmental organizations are working with the Haitian government to help establish a more effective and equitable water system. One of these non governmental organizations, International Action, has been involved with water related issues in Haiti since 2006. Below is an update as to their latest activities. According to Edith Lederer (AP), The Security Council voted Tuesday to extend the U.N. Peacekeeping Mission in Haiti (MINUSTAH) for another year. The Council slightly reduced peacekeepers and added more police instead. In the absence of large scale security operations (such as took place in Cite Soleil), MINUSTAH will increasingly focus on rapid deployment to border and coastal areas. Also copied below is the full UN resolution which references the protection of children, the participation of women, and the need to promote human rights and legal reform. While Haiti is stabilizing, and the relationship with MINUSTAH is at times tense, it is still very much needed.